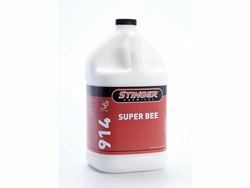 Stinger's Super Bee Dressing is a premium, thick, water-based dressing. Great for use on tires, exterior moldings, and bumpers. Dilute up to 1:4 for engine and interior use. Available in gallons, 5 & 55 gallon containers.